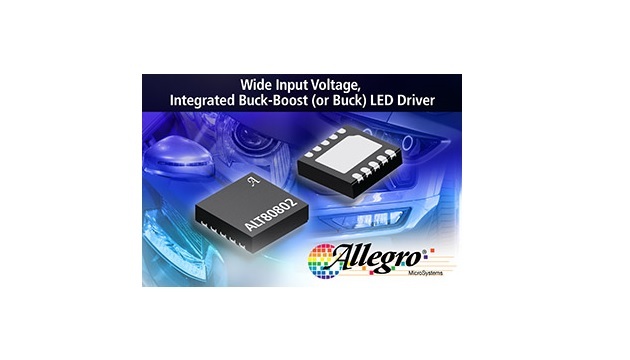 Allegro MicroSystems, announced the ALT80802, their latest addition to the family of 62xx/808xx LED Drivers for Lighting. The ALT80802 addresses a key market trend of 3-4 White LEDs in a single string powered from 12 V battery input, which is very desirable for Fog, Backup, DRL, Side Mirror and other Automotive Lighting applications. The ALT80802 can meet this requirement with a solution that very few competitors can offer, and uniquely provides 2 MHz operation, enhanced performance in PWM dimming capability and fault protection, reducing the external component count. 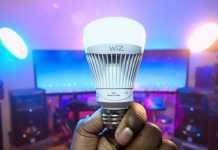 Furthermore, this new device can be operated in buck mode up to 2 Amps, to drive 1-2 WLEDs from the battery or up to 12 WLEDs from a pre-boost supply. The ALT80802 is a high-frequency switching regulator that provides constant output current to drive high-power LEDs. It is designed to aid in EMC/EMI design by frequency dithering, soft freewheel diode turn-off, and well controlled switch node slew rates. A programmable oscillator allows the ALT80802 to switch up to 2.5 MHz, outside EMI-sensitive frequency bands such as the AM band. It integrates a power MOSFET for step-down (buck) or inverting buck-boost conversion. The 50 V-rated Enable pin can be tied to Vin for automatic startup, to support battery-level PWM dimming common in legacy body controllers. The wide input range of 3.8 to 50 V makes the ALT80802 highly flexible. With current-mode control and simple external compensation, the ALT80802 can achieve fast transient response. The control loop of the ALT80802 is designed for PWM dimming operation to achieve low dimming on-time, low turn-on overshoot, accurate PWM duty cycle, and wide dimming range. Extensive protection features of the ALT80802 include pulse-by pulse current limit, hiccup mode short-circuit protection, open/ short freewheeling diode protection, BOOT open/short voltage protection, VIN under voltage lockout, and thermal shutdown. The ALT80802 is AEC-Q100 automotive qualified and is available in a small 10 pin DFN package with thermal pad and wettable flank. It is priced at $1.16 in quantities of 1,000.